Alpine Mountain says goodbye to skiing. The Pennsylvania ski area once operated three Borvig fixed-grips chairlifts. Nearing December, Suicide Six and Waterville Valley are still building their respective new lifts. Skytrac talks ANSI and more with Ross Stevens of Stevens Engineering. East River Skyway gains more backers. City of Branson to vote on American Gondola agreement Dec. 13th. One summer is down, two more to go building the world’s highest 3S. Chile’s President inaugurates new Poma gondola in Santiago. Saddleback Mountain Foundation raises one third of the millions needed to reopen Maine’s third largest resort as a co-operative. Parks Canada is not on board with gondola transit for Banff. Ski racer gets $750,000 after being left on a gondola at Killington for five hours in October 2011. 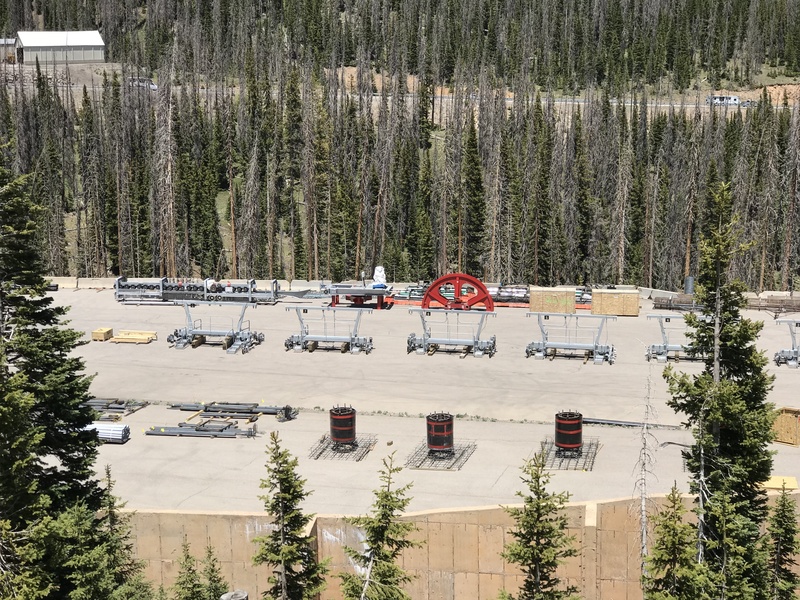 Gunther Jochl, the Austrian-born owner of Sugar Mountain, got the CEOs of both Doppelmayr and CWA to come christen his new six-pack Saturday along with the governor of North Carolina. Apparently the lift may get gondola cabins in the future. A lawsuit from a homeowner could force the closure of Pennsylvania’s second largest ski resort. Seven Springs Mountain Resort operates two six-packs and eight fixed-grip lifts on 300 acres. 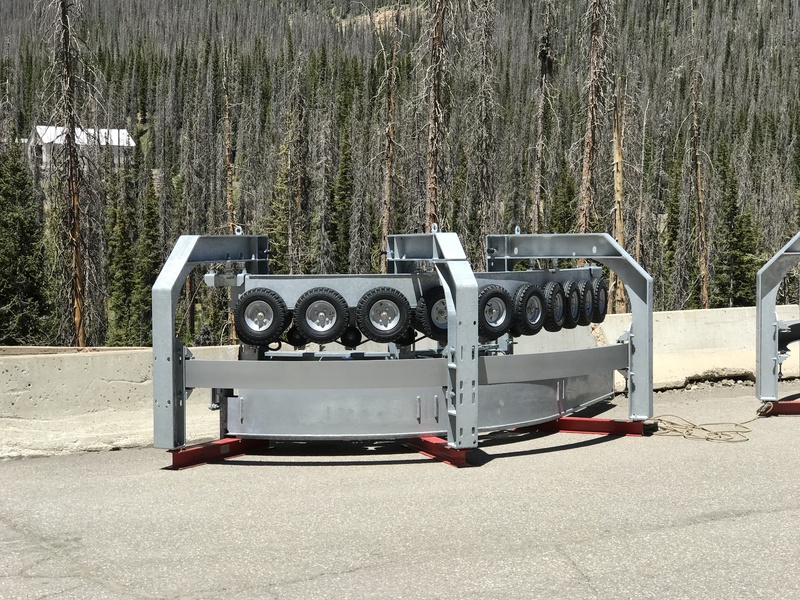 Unfortunately, four of those lifts and 75 percent of the mountain’s ski runs cross a public road that the homeowner wants opened in winter. There are plenty of other ski resorts that have major highways passing through that close seasonally, including Deer Valley, Bridger Bowl and Mt. Baker. 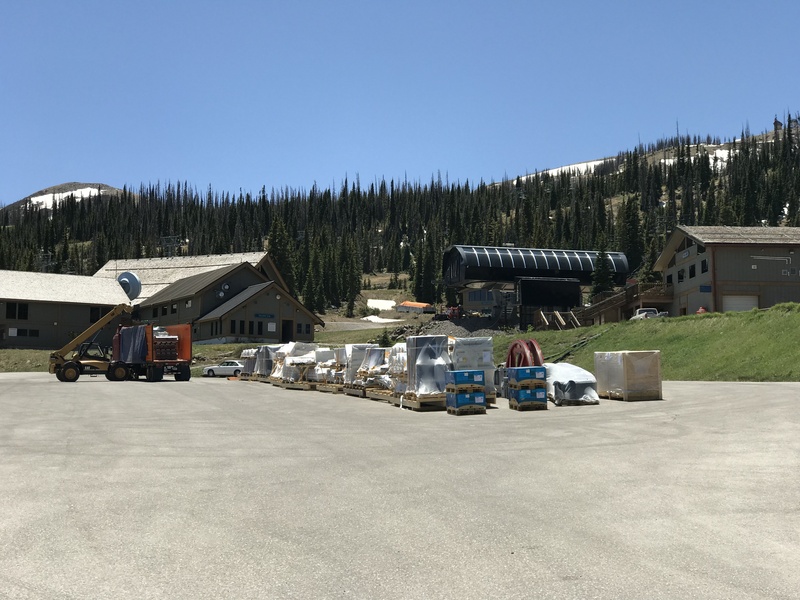 Cherry Peak, the new ski area in Utah, won’t be able to complete their Summit lift in time for this season. When I was there a few months ago, towers were laying on the ground along the line which will either have to be set or moved elsewhere. Two other triple chairs and a carpet are set to go. 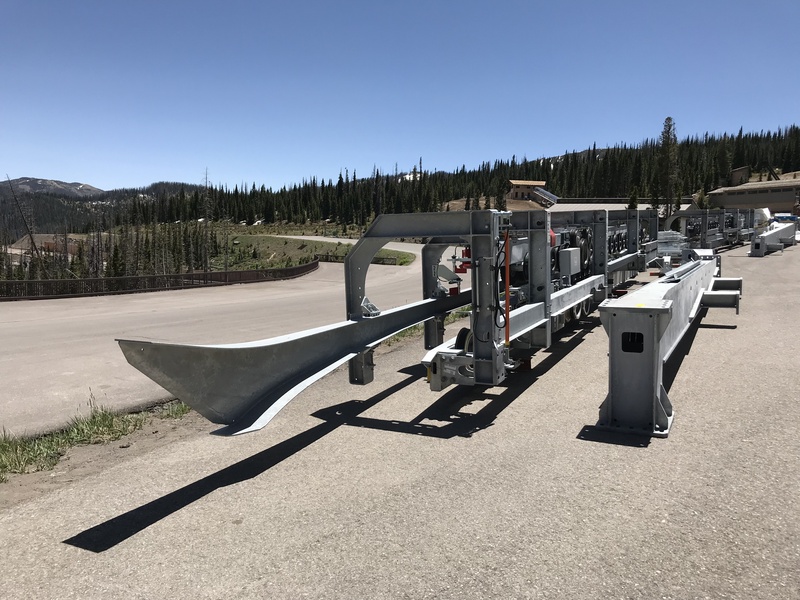 Arizona Snowbowl’s first new lift in 30 years is almost finished. An 8.5 mile gondola system coming to Missouri’s Las Vegas? Bartholet’s aerial tramway across the city of Puebla in Mexico will be finished December 15th, about a year behind schedule. Speaking of BMF, they have a new website. The Balsams clears some more hurdles but has still yet to break ground. Staying on the mega-resort topic, Hemlock Resort near Chilliwack, BC receives approval to spend $1.5 billion on 23 new lifts and 20,000 lodging beds among other improvements over the next 60 years. Hemlock currently has a 1977-vintage Doppelmayr triple and two even older Mueller doubles. 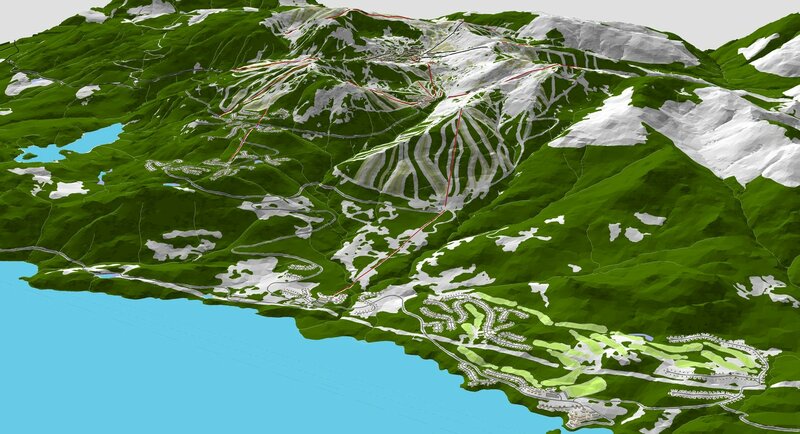 Buried in the linked article is the fact that the ski area never opened last year due to lack of snow. Hemlock Master Plan rendering from Brent Harley & Associates.